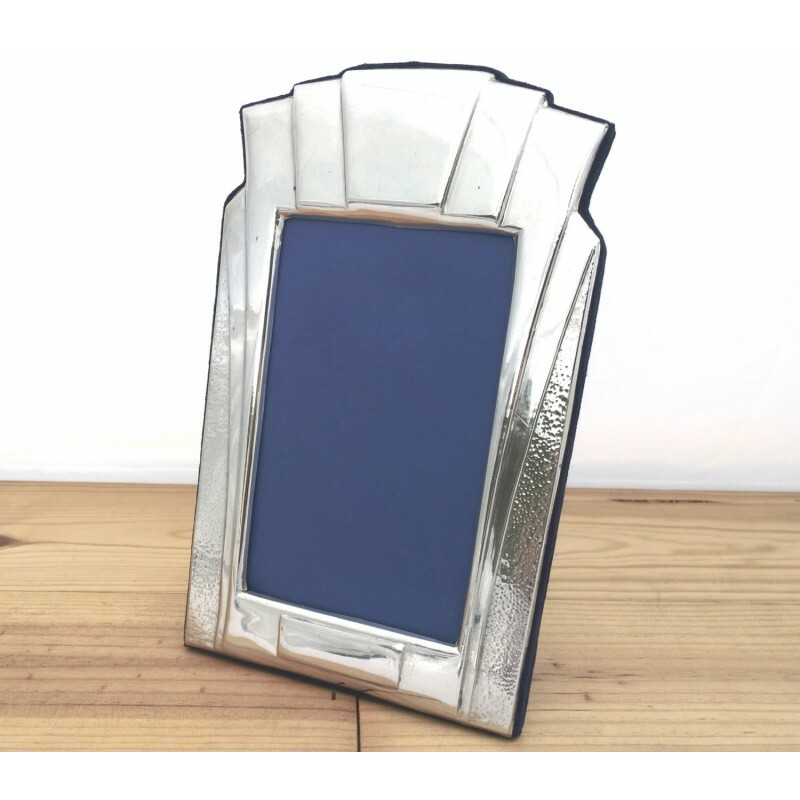 This is a pewter photograph frame in the Art Deco style with its classic fan motif. 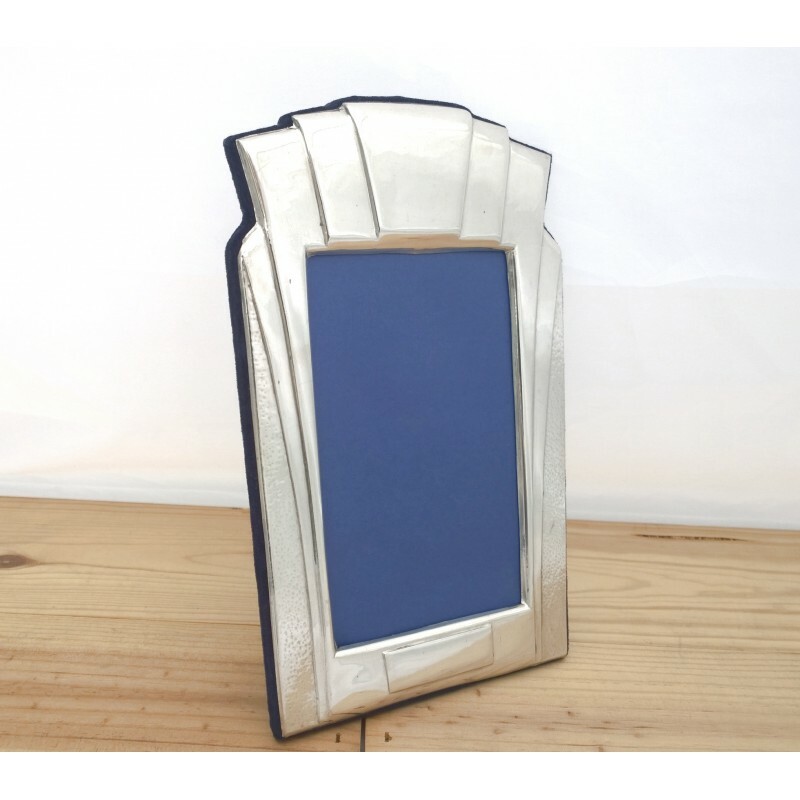 It takes a 6" x 4" portrait photo. 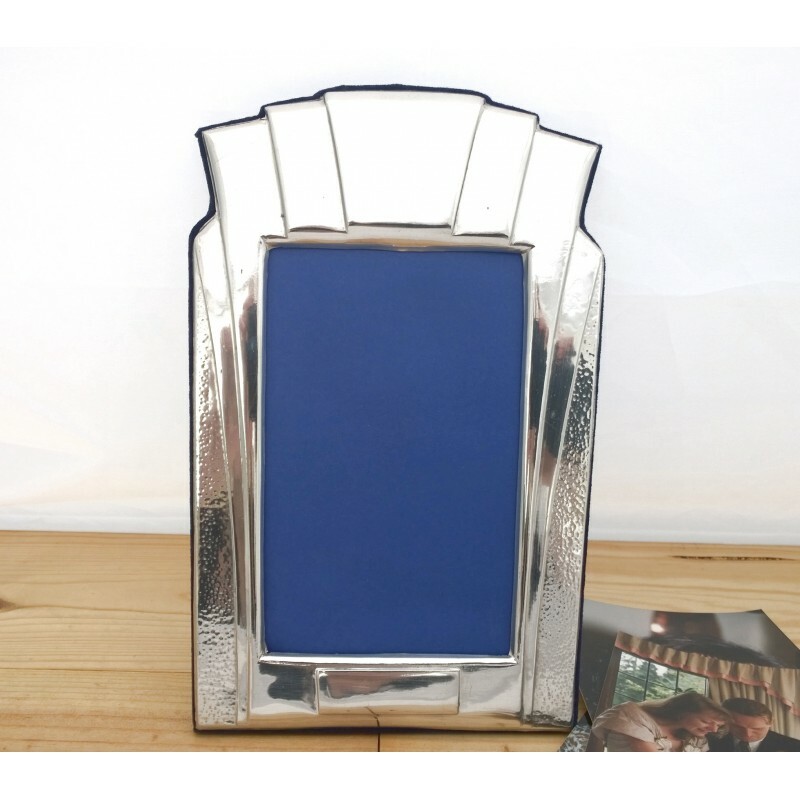 With blue coloured velvet back and acrylic/safety glass insert. Portrait photo.